Tracy Morgan of “30 Rock” was arrested yesterday for drunk driving. 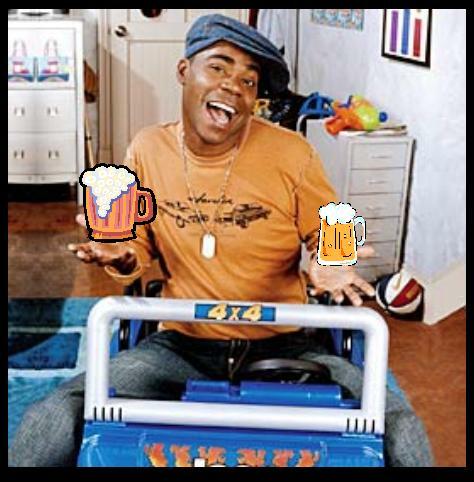 According to a report, when Tracy was pulled over for driving all crazy-like, he told police that he had some beer at a club. Sadly, Tracy was is currently on probation in LA for a DWI. Now, it will be interesting to see what happens with this one, as I believe Paris Hilton ran into the same situation not too long ago. She claimed she had 1 Margarita and was just tired. Yeah, nice try. For some reason I think that Tracy may not get off that easily. Perhaps if he goes with the whole “I was tired” route, that just may do the trick. Also, please note continued brilliant photoshopping skills.